For elderly or vulnerable patients, falling out of bed is a very real fear. Using a side rail is an ideal solution, preventing falls from bed and providing peace of mind for patients and carers alike. The Invacare Verso 2 Side Rail for Profiling Beds is an excellent railing option for multiple ranges of Invacare profiling beds. 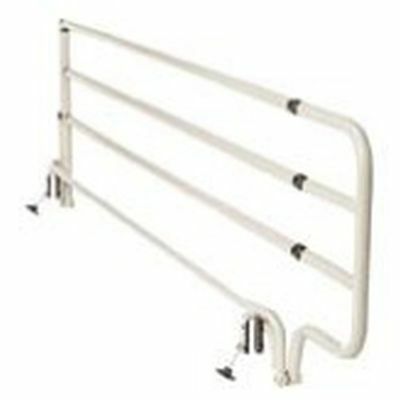 This collapsible steel side rail is easy to attach to the bed and convenient for carers as well as patients as it can be folded out of the way when not required, allowing for easy access to the bed. When the patient is left unsupervised the side rail protects them from falls and discourages unsupervised wandering. If you wish to protect clients or simply give them peace of mind, this is an ideal rail.